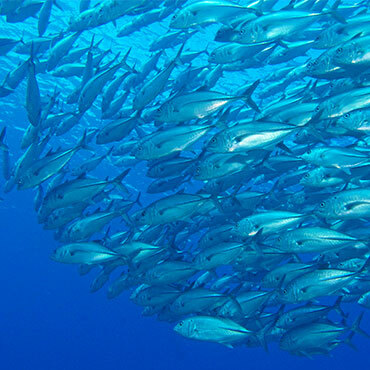 Acqua Dive has a range of fantastic diving opportunities including our own house reef that has one of the greatest selections of critters to be found in the region. Apo Island is a 20min boat ride and easily accessible from Acqua Dive. Dauin’s top sites are nearby and other world class local sites such as Basak are only a 5 minute boat ride. Rates for diving and snorkeling are included below or just ask us if you would like more information. 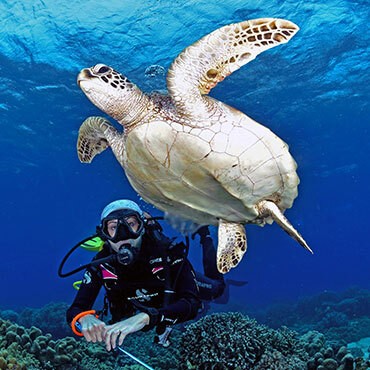 A range of Apo Island day trips are available, information is included under the diving section. NOT A DIVER ? TRY PADI DISOVER SCRUBA DIVING EXPERIENCE! Have you always wondered what it’s like to breathe underwater? If you want to try scuba diving, but aren’t quite ready to take the plunge into a certification course, Discover Scuba Diving is for you. Ask us now about trying Discover Scuba during your stay with us, you only need half a day. WANT TO LEARN SCUBA DIVING? 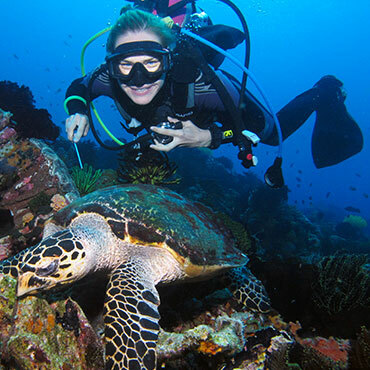 TAKE A PADI COURSE! We have our own PADI certified in house instructors who can instruct a wide range of courses including Scuba Diver, Open Water, Advanced Open Water, a number of specialties including Deep Diver, Peak Performance Buoyancy, Enriched Air, Sidemount and Drift Diver. We also offer Rescue Diver, Dive Master, Master Scuba Diver and Emergency First Responder Courses. Snorkeling Day Trip includes Boat, Snorkeling Equipment, Apo Island Sanctuary Fees, Guide, Lunch, Bananas, Tea, Coffee and Water. Children: 4-9 30% off, under 3 free.